The existence or non-existence of the negative temperature coefficient (NTC) region in cyclo-hexane(cyC6H12) oxidation is still an open question in the literature. This paper addresses this issue by presentingthe rapid compression machine (RCM) and shock tube (ST) data and a consistent model to predict ignitiondelay times in agreement with experimental data. To this end, a semi-detailed chemical kinetic mechanismhas been updated and improved to study the cyclohexane combustion at both low- and high-temperaturesincluding polyromantic molecule (PAH) formation. The reaction mechanism is based on the 20 reactionclasses; two of those were newly included in the model: cyclohexenyl peroxy formation and isomerizationof hydroperoxy peroxy radical. For the main reaction classes, uncertainty boundaries of the rate coefficientshave been evaluated. The NTC behavior observed in the RCM experiments was not detected in the STmeasurements and in simulations performed with the developed model. The simulations performed withother literature models revealed that reaction models, which described the NTC region fixed in the RCMexperiments, were unable to reproduce accurately the shock tube data. It is shown, that the cyC6H12 oxidationchemistry is controlled by competition between three main reaction pathways over the full temperatureinterval. The developed model describes successfully laminar flame speed data and species profiles fromburner-stabilized premixed flames. ABBASI, M.; SLAVINSKAYA, N. A.. Investigation of the low-temperature cyclohexane oxidation. 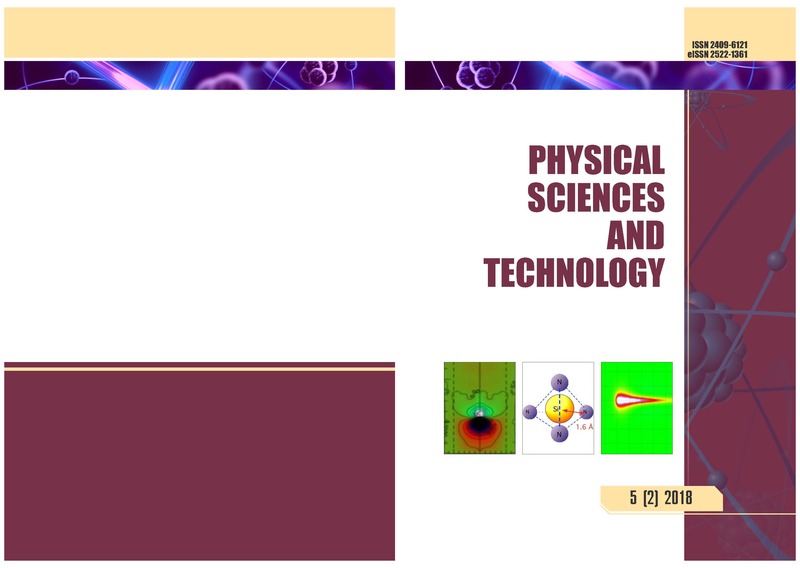 Physical Sciences and Technology, [S.l. ], v. 5, n. 2, p. 57-77, jan. 2019. ISSN 2409-6121. Available at: <https://phst.kaznu.kz/index.php/journal/article/view/159>. Date accessed: 26 apr. 2019. doi: https://doi.org/10.26577/phst-2018-2-159.